Gunrox is new turn-based tactic wargame (free online multiplayer) for turn-based tactic simulators fans. Create your squad of soldiers and battle with live players around the world in head to head or coop battles in this massively multiplayer online tactical game. American Gladiators is a video game made in 1991 by for the Amiga, Sega Mega Drive/Genesis, Super NES and Nintendo Entertainment System. It is based on the popular TV game show, American Gladiators. The NES version varied greatly from the others as well as the game show itself in that the events were morphed into side-scrolling and overhead mini-levels that only partially resembled the real-life events. Aerobiz (Air Management: Ōzora ni Kakeru in Japan) is a business simulation video game for the Super Nintendo and Mega Drive/Genesis game consoles, released in 1992 by KOEI. As CEO of an international airline, the player has a limited amount of time to expand their business to become the industry leader against three other airlines (either AI-controlled or human opponents). Aerobiz Supersonic, known as Air Management II: Kōkū Ō wo Mezase in Japan, is a business simulation game released by Koei in August 1994, available on the Super Nintendo and the Mega Drive/Genesis. It is a semi-sequel to Koei's previous airline simulation game, Aerobiz. Battle Of Tiles is a turn based fantasy simulation role playing game (SRPG). You can handle large party (up to 70 tiles) very easily with the auto battle system. Buy the enemy tiles, arrange battle formation and raise the allied tiles! - You can have up to 70 tiles in your party! - Auto battle system enables simple & easy control. - 37 unique tiles - fighter, wizard, slime, skeleton, etc. - You can buy enemy tiles if you can afford it. Highway Pursuit is a modern game taking its inspiration from a number of classic arcade games. It is an action-packed 3d blast along roads filled with enemy agents - but also with innocent civilians that you should protect at all costs. Azgard Defence is a unique strategy game, where you must build a line of defence to protect your home, Azgard from hordes of most dangerous creatures, invading your place. Choose wizely amongst the fifteen tower types, upgrade them, combine them, find the most effective placement combination, and earn as much as you can. 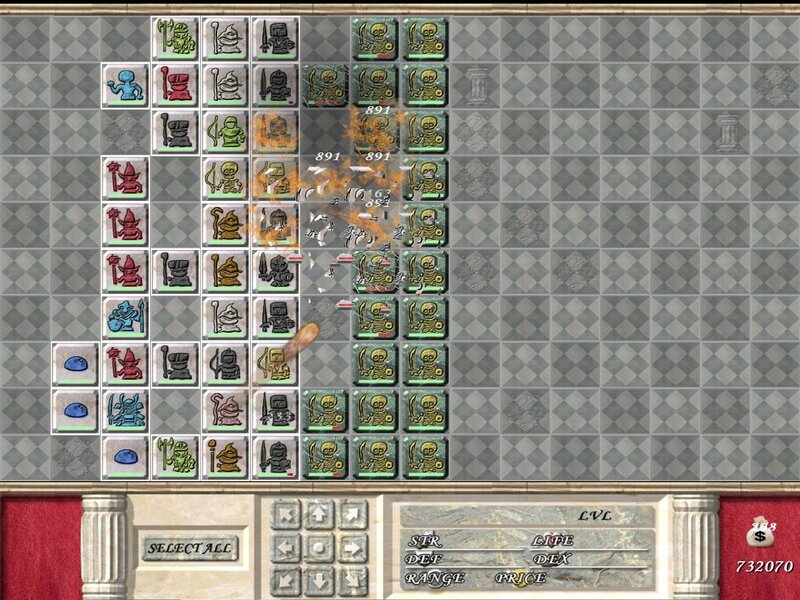 Azgard Defence is a superior of all Tower Defence games, combining addictive gameplay with unique features. baby snail want to cross the river., can you help? you need to watch out the traffic, jump onto the logs, but don't jump into the crocodile's mouth. How far can your snail goes? UBM is a boxing manager simulation. Manage up to 6 different boxers, each one with different stats and skills, in 17 weight categories. Choose from a huge database of over 1000 unique boxers. Arrange fights, buy new training tools, and watch the boxers fighting for real in a top view of the ring! The player then tries to memorize all the shown lines and the location of each image. The player using the mouse takes lines from the table of examples and set them up on the table of frames. Then resultat checks. This game develop memory.